Memphis is the largest and most populous city in the state of Tennessee. It is also the 3rd largest city in the Southeastern region of the United States. More importantly, Memphis is considered to be the home of blues music. Here are some free or cheap things to do when you're walking in Memphis. 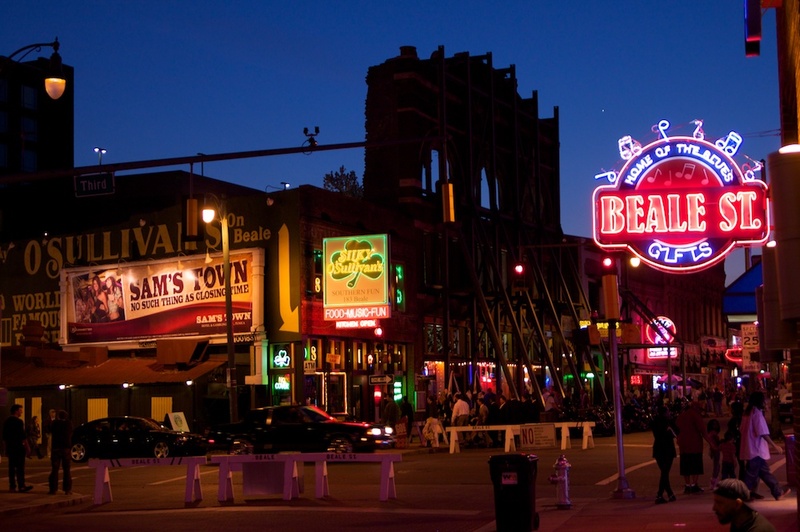 Beale Street – A street in downtown Memphis that played an important role in the history of the blues. Nowadays it is lined with blues clubs and restaurants. Occasionally there are festivals and outdoor concerts around Beale Street. It is a great place to visit for some cheap delicious food and good music. A. Schwab – Opened in 1876 by Jewish immigrant Abraham Schwab, this longstanding shop is the only original business remaining on Beale Street. This an excellent place to get cheap, unique souvenirs or just browse the random offerings. Mississippi River – The Mississippi River is one of the world's largest river systems. The adjacent land provides beautiful views of the river and with all the parks, it is the perfect place to take a nice walk. Shelby Farms Park – Shelby Farms is one of the 20 largest urban parks in the United States. At 4,500 acres it covers more than 5 times the area of New York City's Central Park. With paved and unpaved trails, it is the perfect place for a walk, run, or hike! Memphis Botanic Gardens – The Memphis Botanic Gardens offers 96-acres of botanical gardens with 23 specialty gardens including the Japanese Garden of Tranquility. Admission for adults is $8. 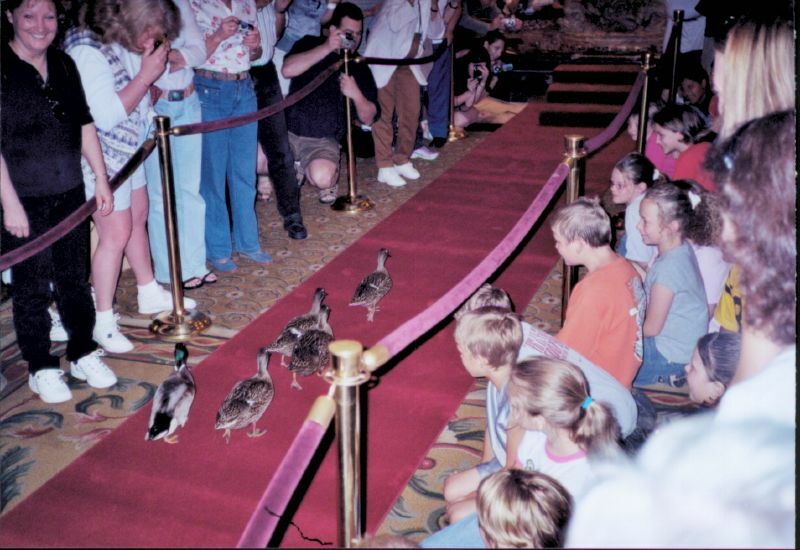 The Peabody Hotel – The tradition of the famous Peabody ducks dates back to the 1930s. Nearly 80 years later ducks can still be found marching the hotel lobby and marble fountain of the Peabody Hotel. The march is free to watch and takes place daily at 11:00 a.m. and 5:00 p.m.
Gibson Factory – Take a complete tour of Gibson's Memphis guitar factory. This is an amazing opportunity to witness the intricate process of guitar-making as well a chance to learn about how Gibson has shaped the world of music. It is recommended that you make a reservation. Tickets are $10 per person. Memphis Redbirds – The Memphis Redbirds are a Triple-A minor league baseball affiliate of the St. Louis Cardinals. If you're looking to casually watch a baseball game tickets are cheap if you sit on the grass. Lawn tickets are $9 at the gate and $6 if buy them in advance. Memphis BBQ – Memphis is one of the American cities that prides itself on its Barbecue. With so many restaurants to choose from one can easily find a delicious pulled pork sandwich for about $5. Some recommendations: Cozy Corner Restaurant, Central BBQ, Payne's Bar-B-Que and The BBQ shop. Cooper-Young Historic District – This intersection is home to many cool shops and restaurants. Make sure you stop by Allie Cat Arts, featuring art and handmade gifts by local Memphis artists. Its free to browse!